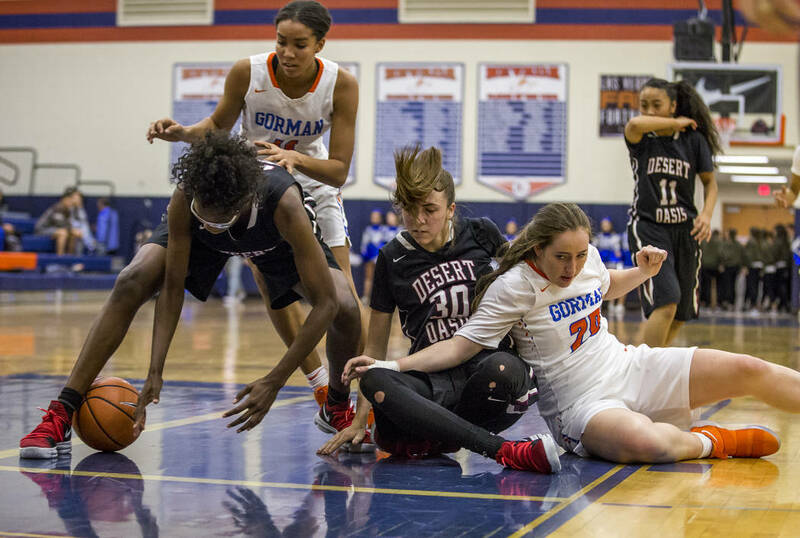 Desi-Rae Young scored a game-high 17 points and took a momentum-swinging charge late in the fourth quarter to stave off a second-half rally and give Desert Oasis’ girls basketball team a 69-61 win over Bishop Gorman on Friday. 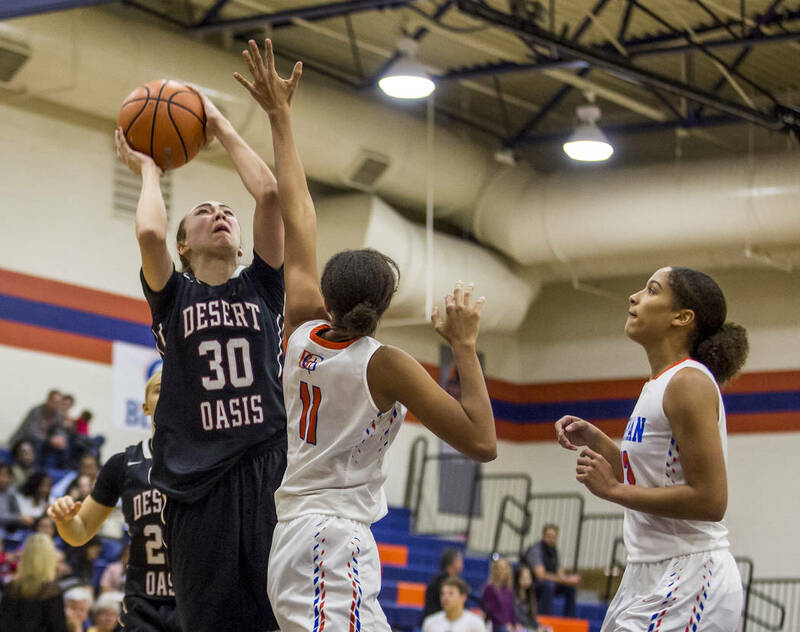 Desi-Rae Young could hardly speak after Desert Oasis’ road victory Friday night because of her impassioned screaming for four quarters. 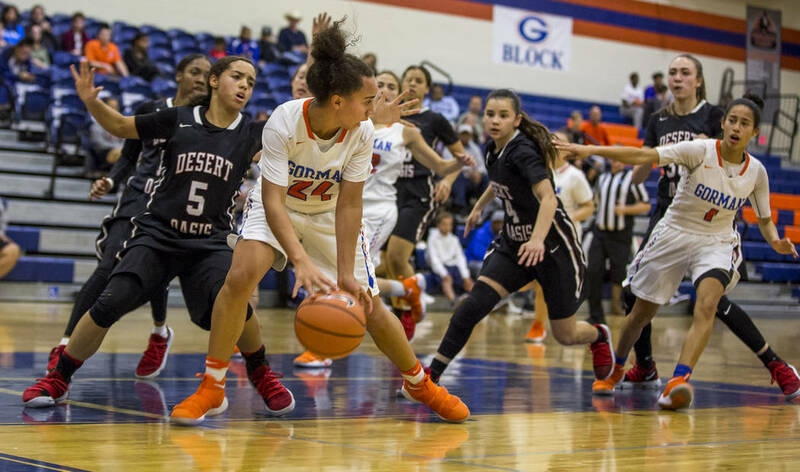 The heart and soul of Southern Nevada’s fourth-ranked team was also its best player in a pivotal Southwest League game. 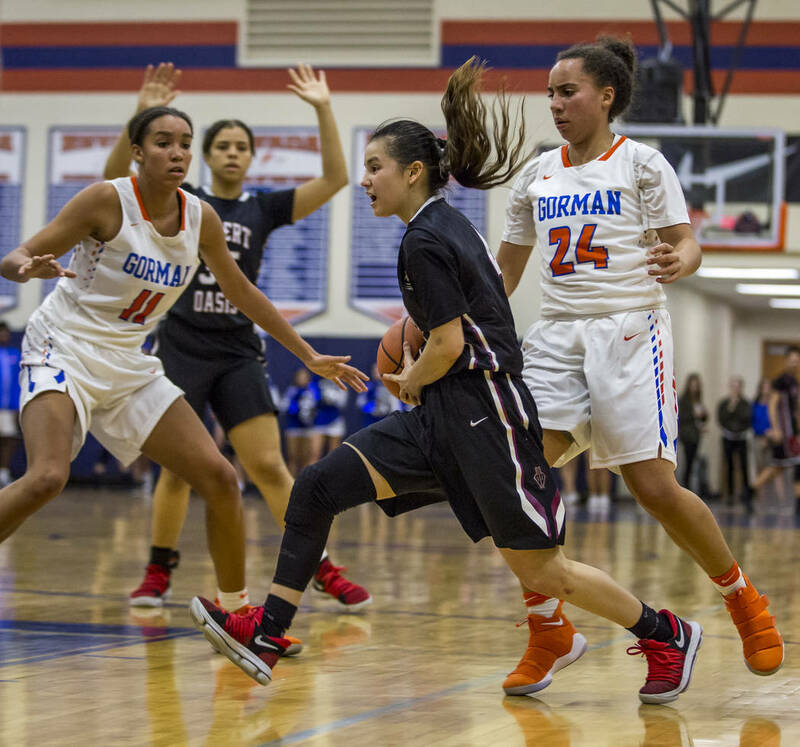 Young scored a game-high 17 points and took a momentum-swinging charge late in the fourth quarter to stave off a second-half rally and give the Diamondbacks a 69-61 win over No. 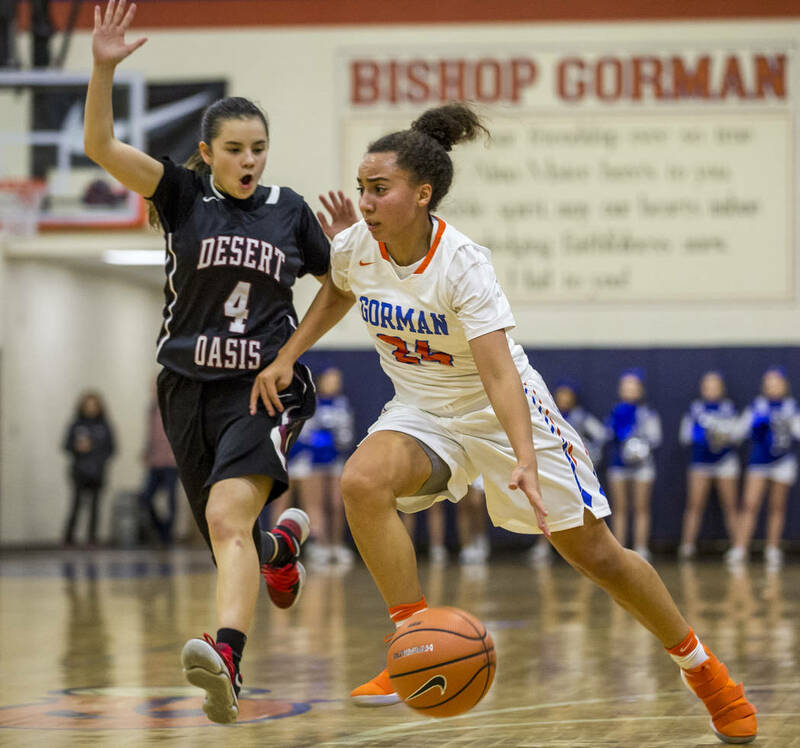 5 Bishop Gorman. 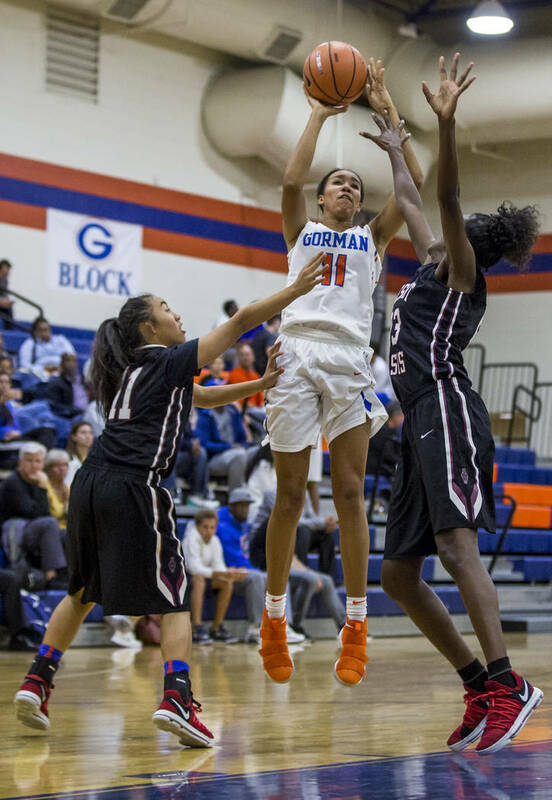 With fellow big and Division-I bound teammate Dajaah Lightfoot (Tennessee State) out most of the second half because of foul trouble, the 6-foot sophomore acted as the firecracker off the bench. Young started the third quarter in place of Lightfoot, who had three fouls at halftime and picked up a fourth with 1:28 left in the third. 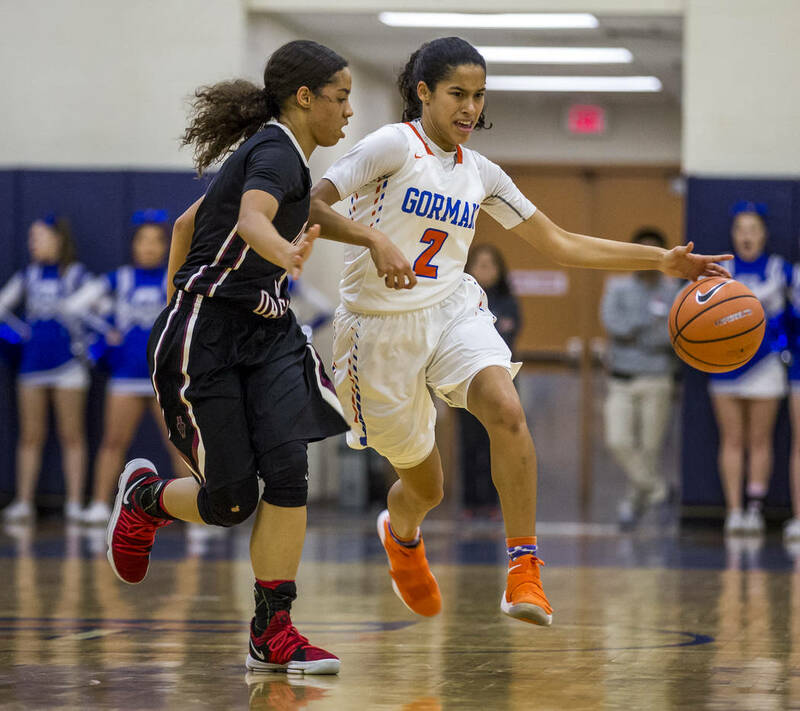 Gorman clawed within three points twice in the fourth quarter, once with 2:46 remaining, before Young stood still and got run over by Gaels junior Georgia Ohiaeri, who had been torching the Diamondbacks in the second half. 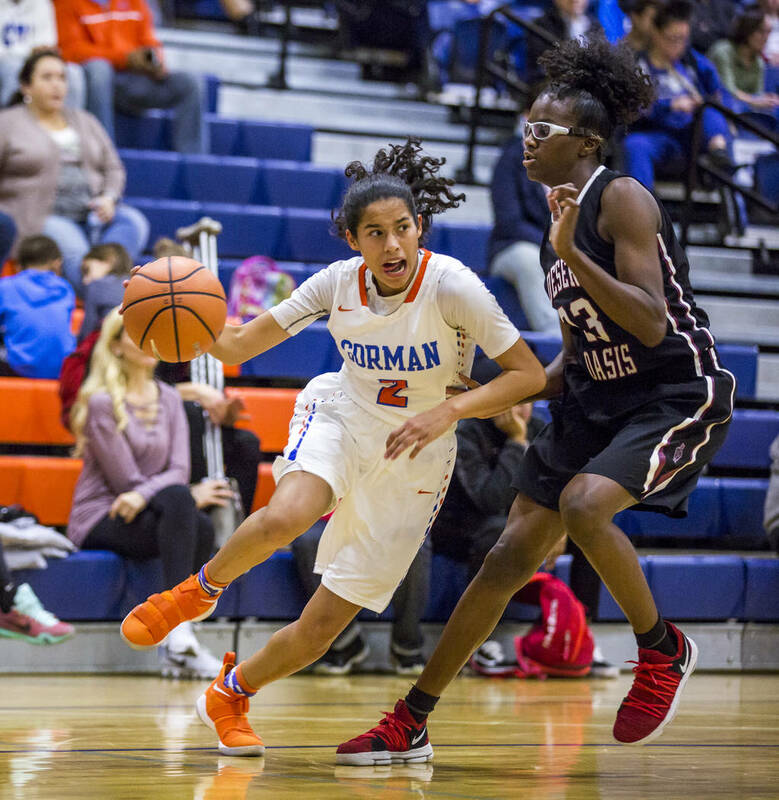 The charge, and resulting possession change, sparked a 9-4 run to close the game. 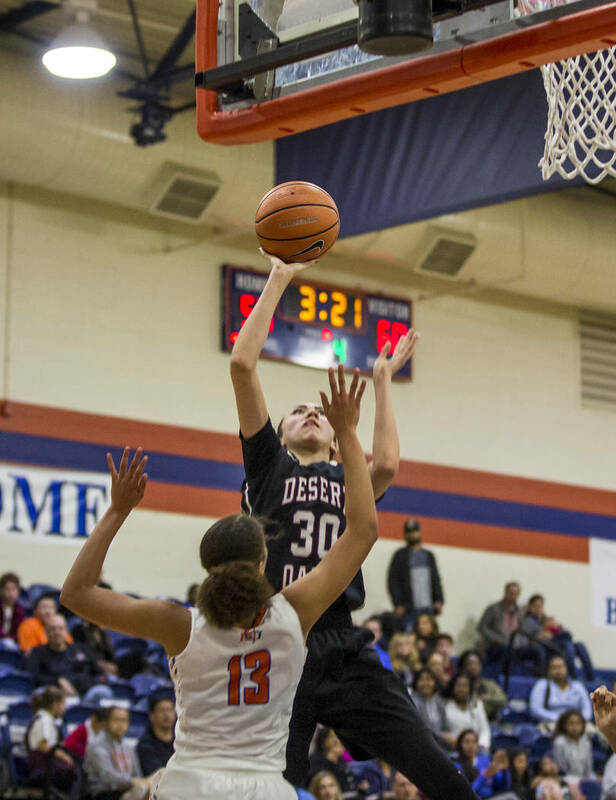 Free throws sealed the win and kept Desert Oasis (15-2, 6-0) in a first-place tie with Spring Valley (16-2, 5-0) in the Southwest. The Diamondbacks made 27 of 31 free throws, including 9-for-11 in the fourth quarter. 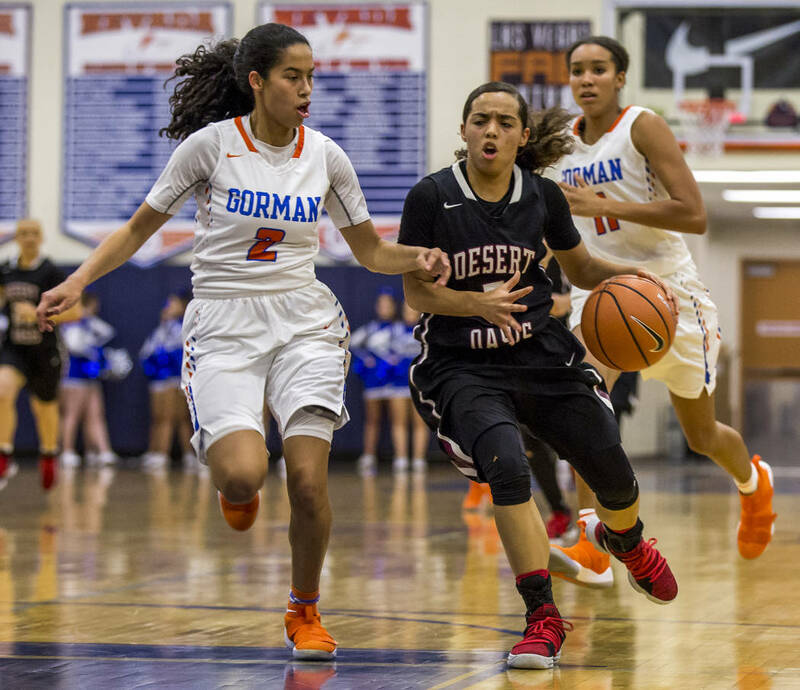 Sierra Mich’l added 14 points and Ahmaya Smith 11 for Desert Oasis. Lightfoot and Eliyjah Pricebrooks each had 10. 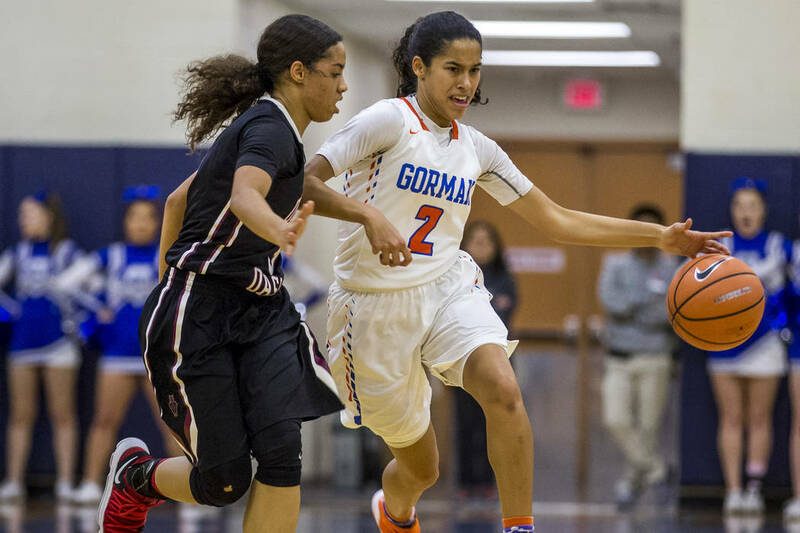 Caira Young led Gorman with 16 points. 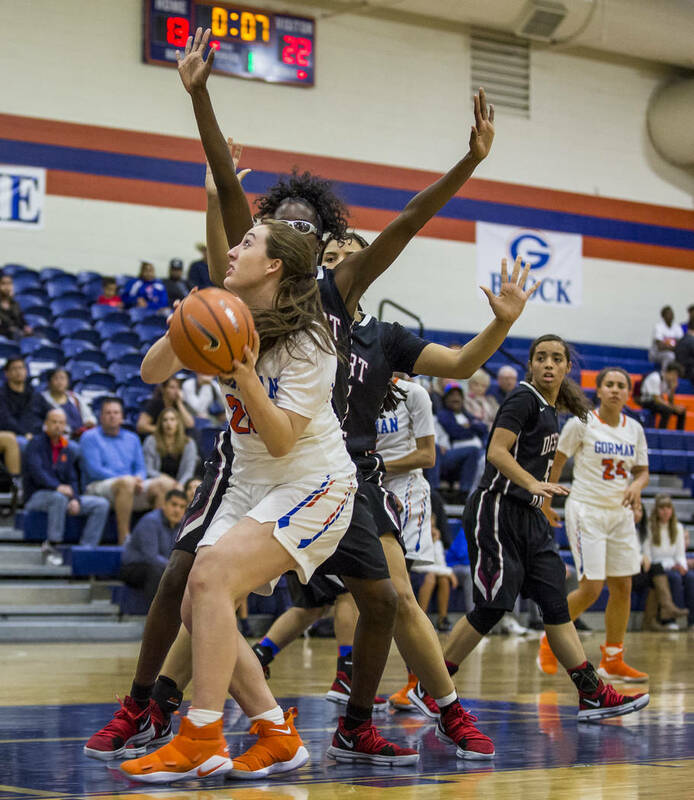 Ohiaeri had 15 points, Shaira Young added 12 points and Olivia Smith scored 11 for the Gaels (5-11, 2-2).